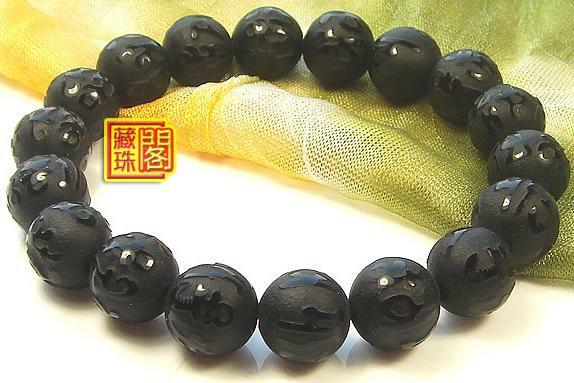 Consecration OM Mantra Wrist Malas Buddhist Prayer Beads Bracelet. 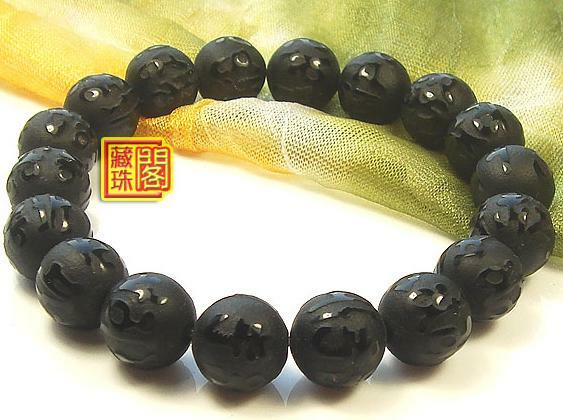 This OM Mantra Wrist Malas was handmade in Tibet from calcedoine noir beads. The beads are decorated with om mantra words. Beads size: 10mm.